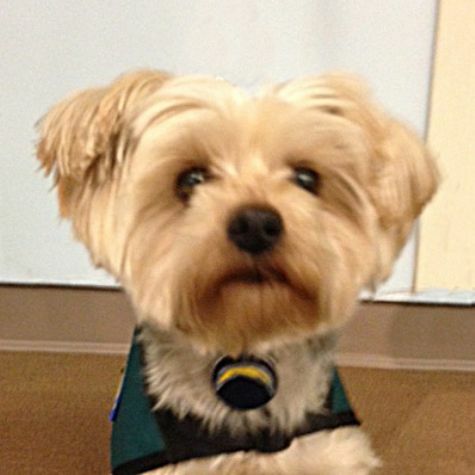 My name is BearBear, I am a Yorkshire Terrier with a hint of Silky Terrier. I stay fit by taking my owners for long walks and hikes. I like to practice crawling, bunny hopping, rolling over, balancing on hind legs and looking for squirrels or lizards. I do play the piano and always want to sing along. I like to say hello and help put smiles on people's faces, maybe one day I am lucky enough to meet you. See you soon!